A Brush for the Lead. A Day at Meadowbrook. [Long Island]. A Hard Road to Travel. 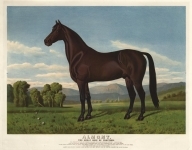 Almont, the Great Sire of Trotters. Asinus Hamar. Plate 10. [Donkey]. Asinus Onager. Plate 18. 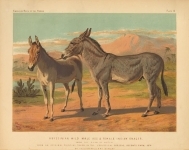 [Donkey].